Do players have contact with the company sponsors and the community? Are their relationships outside of the black and white of the contracts? Most of the time agents contact viable sponsors that would interest both the player and their organizations. Yes there are plenty of relationships outside of the contracts, however most are in a formal verbal agreement. Most times players and their representation select the written contract. How much do it cost to have an agent? How do you get paid.. every month week how does work….? 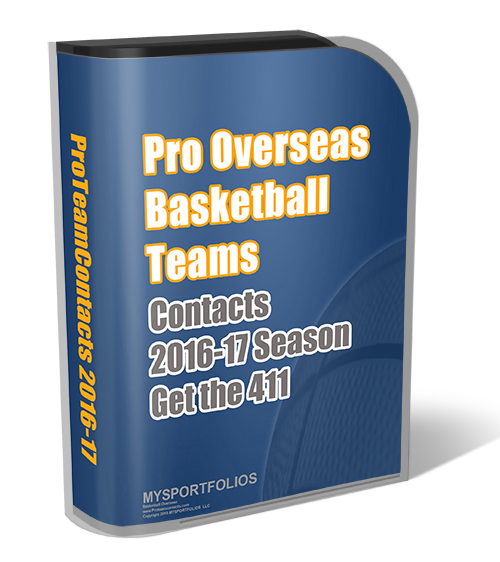 Most pro basketball contracts abroad, salaries are paid monthly. In some slight cases and in the past, some players could/would receive some types of bonuses after each game. But it depends on the contract. Nowadays, all contracts are written for the months that you play (6-8 months) and you’re paid every month. During the first or final, it depends on what is stated in your contract. Ok i am a senior in high school and I am interested in playing overseas basketball in japan. Do I need some college to play and if so how much do I need? If you’re senior in high school, you have to be extremely good like the cases of Brandon Jennings or really tall. Most teams and scouts in Japan look for tall centers and players that have college or professional experience. Is it true that in professional basketball overseas you get paid based on your performance?? So if you don’t perform very well, then you don’t get paid? You get contracts based on your previous performance and experience with previous teams, yes. However, if you don’t perform well and have a contract you will get paid. Depending on each contract, you can also be fired and your contract terminate, hence you will not get paid. But most contract garauntee that you get paid even if your performance is not up to par, but you might have greater chances of being fired. Is there any countries that would pay a 5’7 guard with upside?